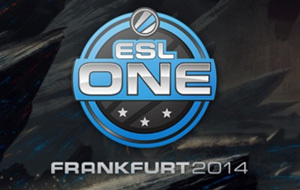 The ESL One Frankfurt is the one of the largest tournaments preceding the International 2014. It will be held on June 28, 2014 to June 29, 2014 in Frankfurt, as the tournament name suggest, in the Commerzbank Arena. The Commerzbank Arena is a 52,000 seat football stadium which would be room enough to host the other activities that are scheduled at the ESL One Frankfurt, like cosplay competitions, workshop artist sessions and autograph signings. The ESL One Frankfurt will initially have a prize pool of $150,000 and will increase every time a person buys an ESL One Frankfurt Compendium. There will be 8 teams playing for the ESL One Frankfurt championship. 2 invited teams and the other 6 coming in via qualifiers, one form the Chinese qualifiers, one from the Asian qualifiers, one from the American qualifiers and 3 from the European qualifiers. Some people might wonder why there are 3 teams from the European qualifiers which actually makes sense since this is a European tournament and more European teams will mean a bigger draw to the tournament. The first round match-ups has been determined, and with this tournament being a best of three single game elimination format, every game is very important. All eight teams here will be present at the International so this tournament might just be a warm-up to the biggest Dota 2 event of the year. The bracketing of the teams might look like it was done haphazardly with no seeding to look at. It might just be the push the every team needs to make it to the finals. With the strong teams taking out each other at the first round. The ESL Frankfurt Tournament will be an open race. These two teams really know each other. The last time these two teams met was at the Summit in which underdog Fnatic won. In fact, Fnatic has always been the underdog when they are up against Vici Gaming but they have won, two of the last three match-ups between them. The only time Fnatic lost against Vici Gaming was when Fnatic played with two stand-ins for some of their regular players. If Fnatic is going to win this match-up they should not let Vici Gaming get into the late game stages. Fnatic like most European teams tend to focus more on ending games at their midpoint. I would love to give the upper hand to Fnatic in this match-up even though the smart money would be on Vici Gaming but it seems that Fnatic has got Vici Gamings number. Prediction: Vici Gaming is where the smart money is, especially since there are reports that Fnatic would not play a complete team and would play with a stand-in. But with a complete team, I would not take Fnatic too lightly. This is probable the best match-up of the first round of the ESL Tournament. The current the International champs against one of the favorites. After the new meta after the International 2013 brought about by the release of some patches. The Alliance seemed to have lost their momentum and have tapered off winning, but during these last few tournament. Alliance seemed to have found their groove back winning the last 8 out of their 9 games. Cloud on the other hand has been on slump losing three straight match-ups. Skills wise both of these teams are evenly matched, the only thing that will separate the winner from the loser will be their drafting. Alliance tend to have some favorite heroes that they pick 9 times out of 10. Cloud 9 should either ban them or find ways to counter Alliances strategy. Prediction: This one is a toss-up. Either team could win this match-up. Whoever gets the heroes they want in draft would be the difference in this one. In another toss-up. Natus Vincere vs Evil Geniuses is another hard match to call. Evil Geniuses has been on a tear lately and is just eating up the competition. They also just beat Na'Vi at the D2L playoffs completely dominating them 3-0. Whoever wins this match-up might just be the champion of the Frankfurt ESL Tournament. That is how good these two teams are. I would put my money on Evil Geniuses on winning this match. This close to the International, I do not see Na'Vi showing their new strats or they would just experiment on some new meta. Prediction: Evil Geniuses will win this match if Na'Vi reserves their new starts for the International. It has been a very, very long time since these two Dota 2 teams have met. I think they last met on the Dota 2 stage way back in 2012, so all the stats from the previous match-up will most likely be thrown out the window. Team IG has been on a three match winning streak. Beating powerhouses Newbee, Team DK and Speed gaming in their previous games. mousesports on the other hand is riding high on their qualifying for the International 2014 and is also the hometown team on this match-up. Team IG is heavily favored to win this one. Even though a Chinese team, Team IGs gameplay is aggressive as most of the western teams. The only way that mousesports can win this one is by being more aggressive than Team IG and rack up those early kills. You know who will win? Place your bet or take a look at our e-sports betting sites overview page.